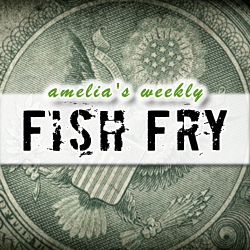 In this week’s Fish Fry, I check out some recent rumblings in the world of EE venture capital and investigate why both Applied Materials and the CIA are interested in Infinite Power Solutions. Also this week, I look into the newest developments in compilers from Microchip Technology and examine a recent report by the US Senate Armed Services Committee about counterfeit parts used in military applications. Also this week, I have a TI MSP-EXP430FR5739 Experimenter Board (courtesy of Mouser) to throw your way, but you’ll have to tune in to find out how to win.